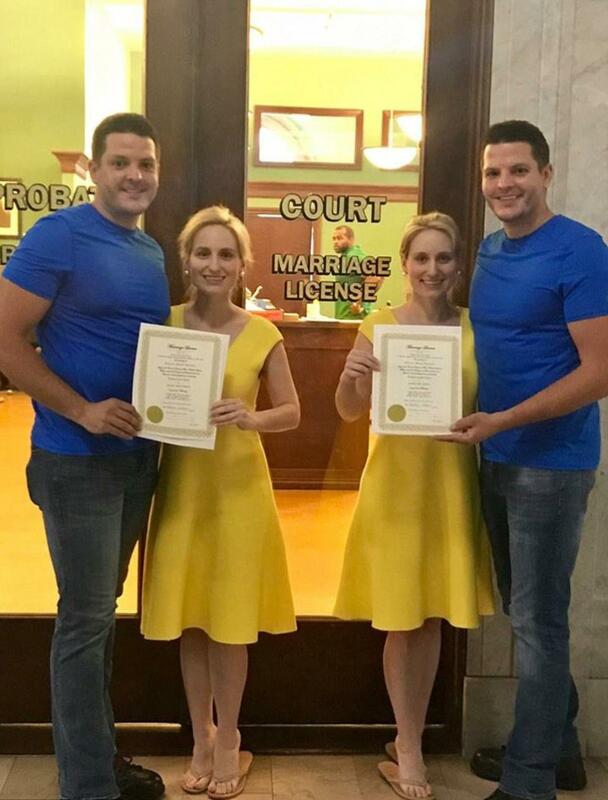 A set of identical twin sisters married identical twin brothers in a joint wedding presided over by identical twin ministers in a town called Twinsburg. 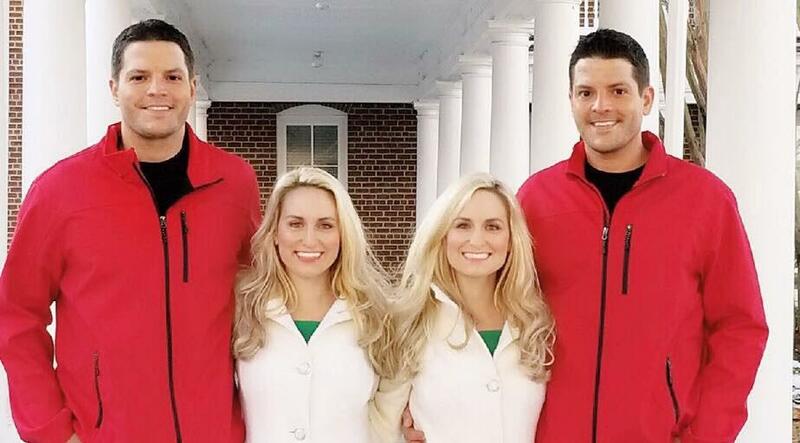 Josh and Jeremy Salyers, 34, met Brittany and Briana Deane, 32, last August when they all attended a festival for twins in the town in Ohio. 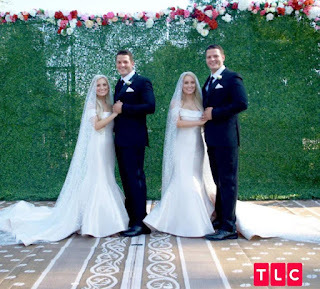 The loved-up duos both say they had instant connection and now Briana has married Jeremy, while her sister Brittany married Josh. The 'Twice Upon a Time' themed nuptials took place as part of the 2018 Twins Days Festival. The Salyers brothers both popped the question at the same time and even the date of the proposal was also a nod to their both connections - February 2 or 2-2. "It's hard when you're dating someone and they don't understand the twin bond." And Jeremy said: "You know when you know. We've always known our whole life if we were going to be married that it was going to be with twins." Brittany, who also works with her sister in a law firm, said: "We imagine it will be like two mums and two dads."